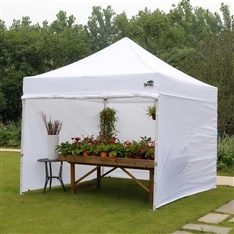 Includes: Three Solid Walls and One Front Wall with Roll-up Door and Bug Screen Window. 500 D Fabric. Hexagonal Legs with Push-Button Release Levers and Roller Bag with 4.7" Wheels. This is for one Commercial Grade Frame, professional Quality Top, enclosure wall kit, heavy duty wheeled bag, 4 Ropes, 4 Spikes. Unique Hexagon Shaped Leg. 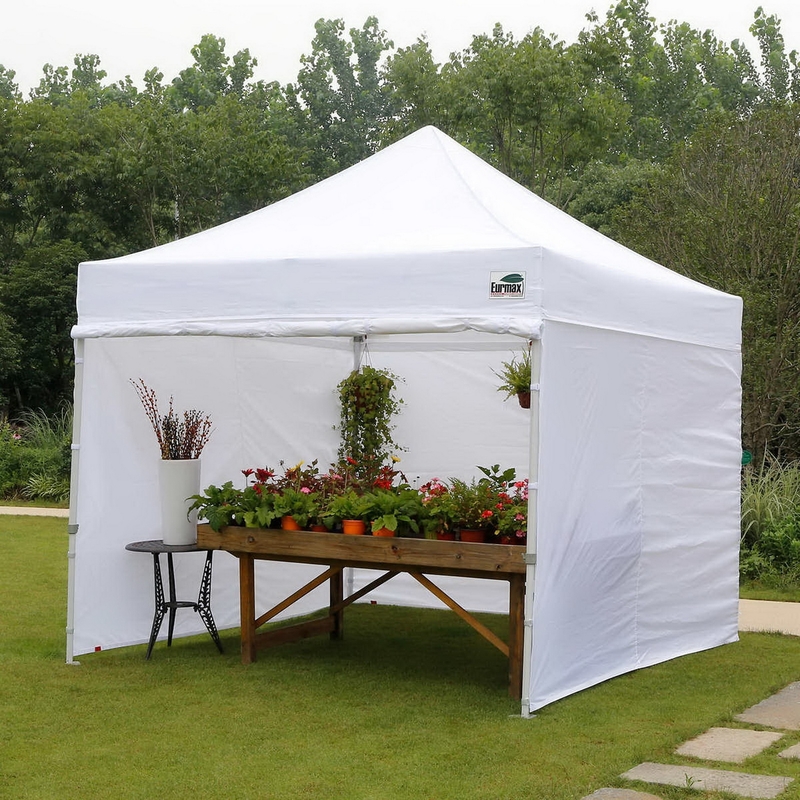 Research has found that most pop-up canopies break due to heavy winds. This may cause the legs to buckle or bend at the corners. Eurmax Canopy?s unique innovation of our large Hexagon Shaped Leg, promotes stability and strength. This sets us apart from the competition. Eurmax Canopy Signature Roller Bag. The large 4.7? nylon wheels make portability smooth, even on rough ground. Removing the canopy top after each use is not required. Our roller bag is large enough to pack away your canopy top and frame. Jumbo 1 3/5" Hexagon Shaped Legs: Adds rigidity and strength. Thumb-lock Push Button: One handed close, folds up and packs away in minutes- It?s a cinch without the pinch! Signature Roller Bag: Smooth Portability Even on Rough Ground.